Thanks to BurlapFabric.com for sponsoring this post. I was provided with burlap product in exchange for my honest review. This post contains Amazon affiliate links. 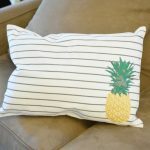 If you click on a link and make a purchase, I earn a small commission that helps to run this blog. Thanks! 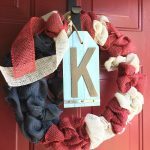 Today I’m sharing an easy DIY burlap bubble wreath tutorial. 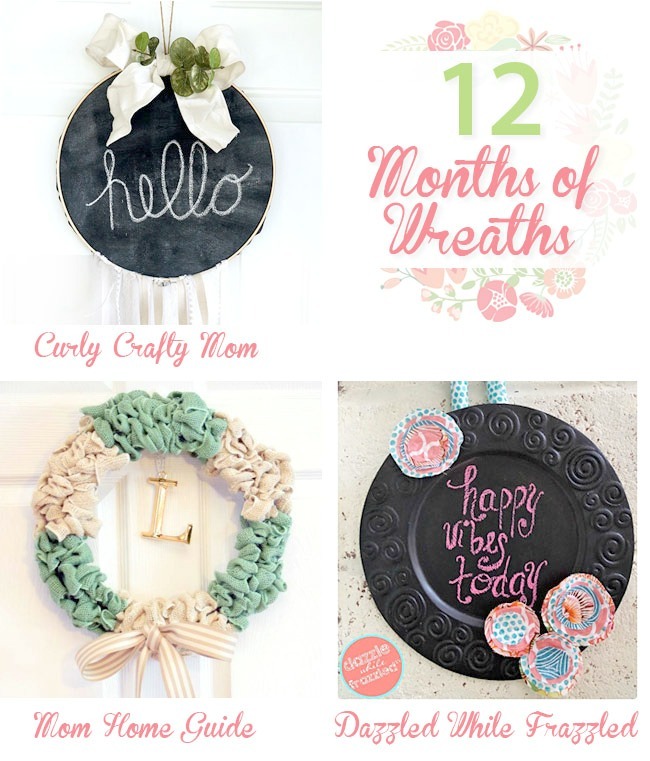 My blogging friends are sharing awesome wreath tutorials, too! Every month I get together with some of my blogging friends to create a new seasonal wreath. 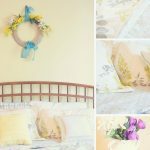 I love making wreaths with burlap, since it is so versatile, inexpensive and easy to work with. Plus, burlap comes in so many fun colors and patterns! This month, my friends at BurlapFabric.com were kind enough to supply me with all of the burlap I needed for my wreath! 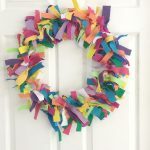 This wreath is great for this time of year – back to school – when things get hectic and busy! 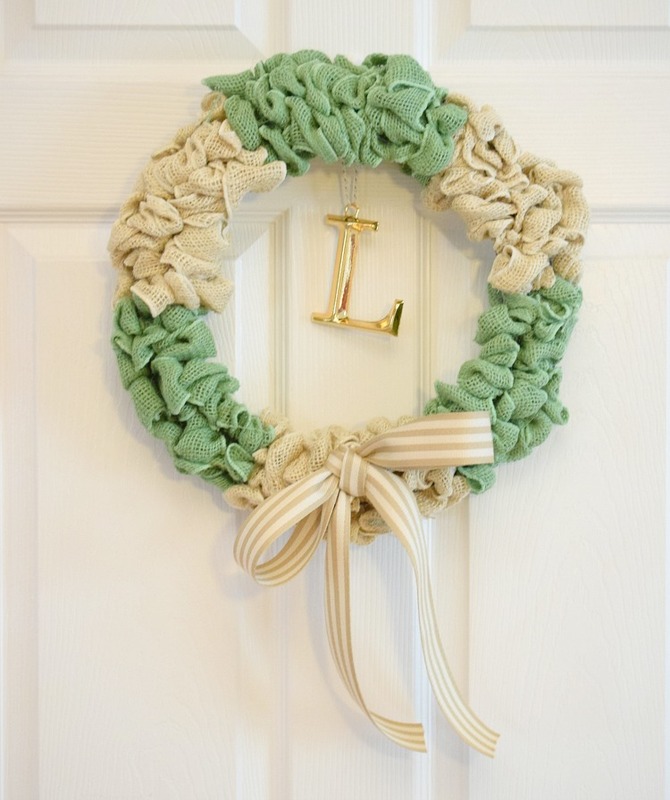 This burlap bubble wreath is incredibly easy and quick to make. There’s good news! 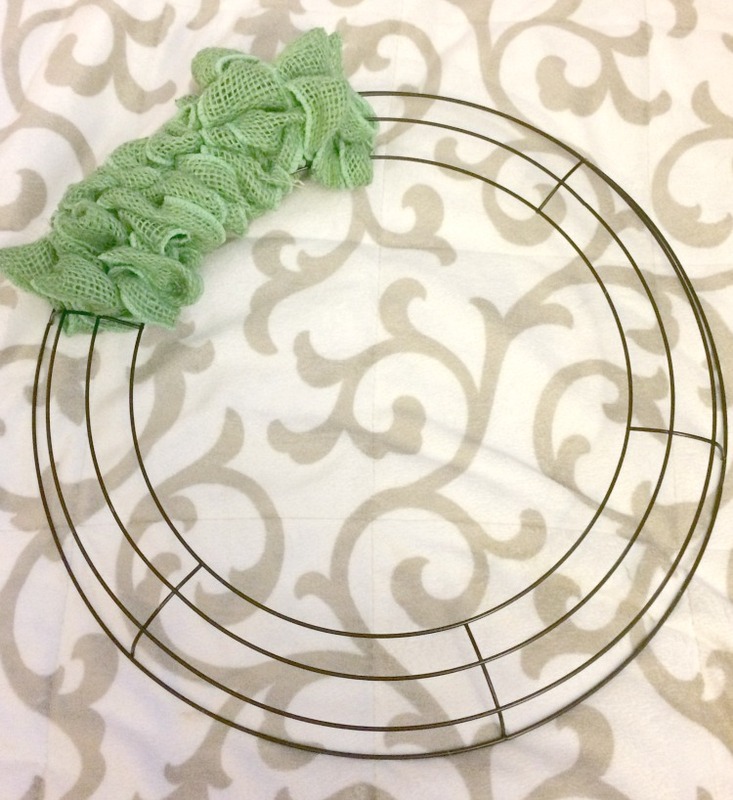 If you’d like to make this wreath, you can use the coupon code, 5MOMHGUIDE, and get $5 off a $5+ purchase at www.burlapfabric.com. When I got to a new section, I repeated the same steps above with the white burlap ribbon. When I filled that section of the wire wreath form, I switched back to the green burlap ribbon. 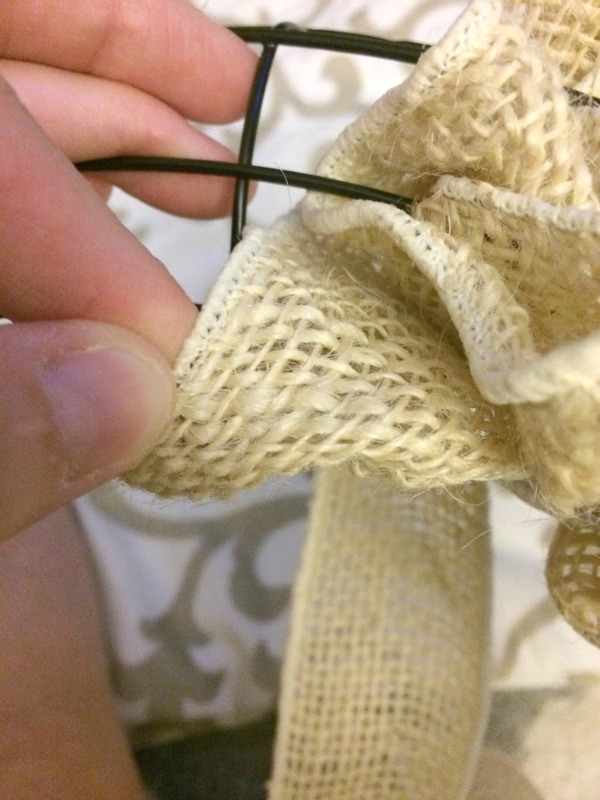 The below photo shows how to create a burlap bubble. 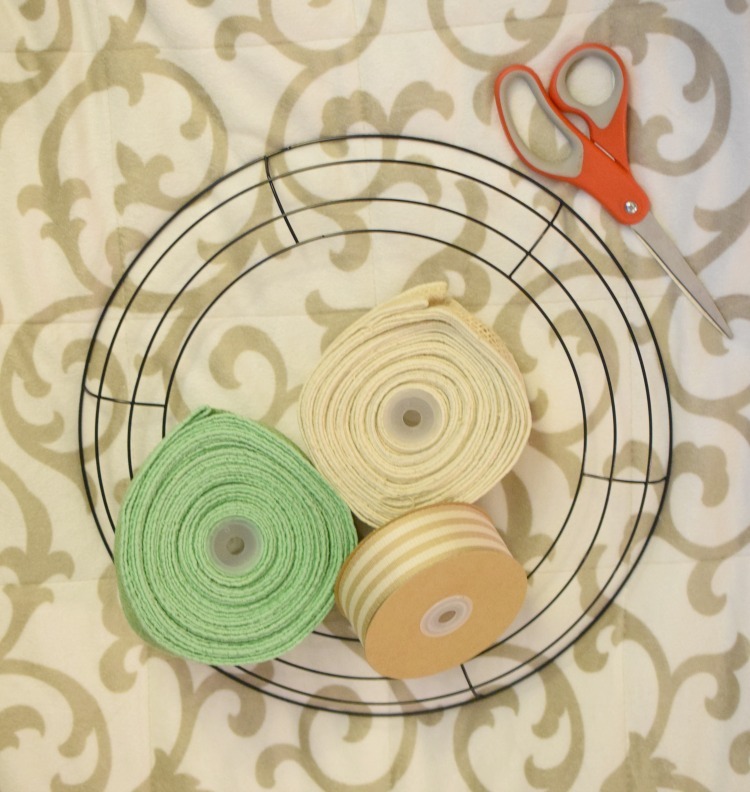 I continued, creating alternating green and white burlap ribbon sections. Once my wire wreath form was filled with burlap bubbles, I used the ivory stripe faux burlap ribbon to tie a simple burlap bow. (I tied the bow in a way similar to how you would tie your shoes.) I secured the bow with just a dab of hot glue from my glue gun. Then all that was left to do was hang the wreath on my door! At first I hung it in my family room on a white door. 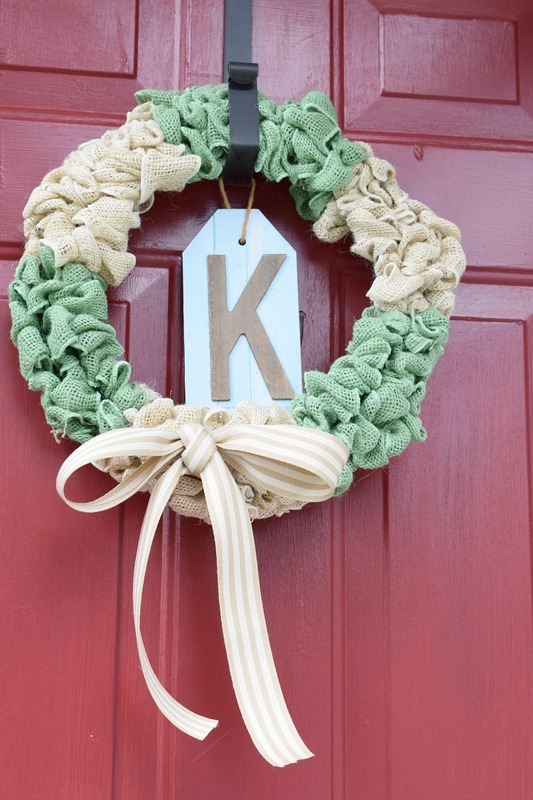 Eventually I moved the wreath to my home’s red front door, where it now hangs with my family’s “K” monogram. I might have to make another one of these wreaths because I also love how it looks against the white door with the gold monogram (for my first name) that my friend, Carrie gave me! Thanks again for joining us! We will be sharing a new wreath once a month in 2017! 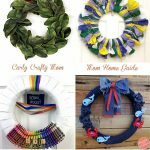 Are you interested in sharing a wreath with us one (or more) months? 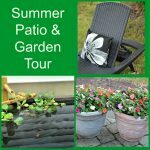 We are accepting guest hosts! 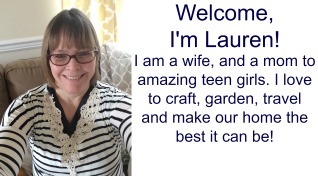 Email carrie (at) curlycraftymom (dot) com if you are interested! This tutorial has been shared at the Homestyle Gathering party at My Wee Abode. 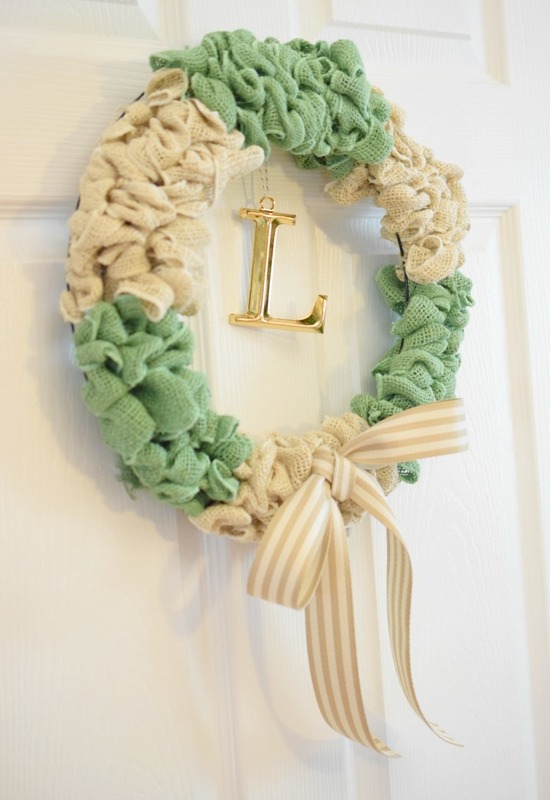 I love how your wreath turned out! The inital is such a cute touch! 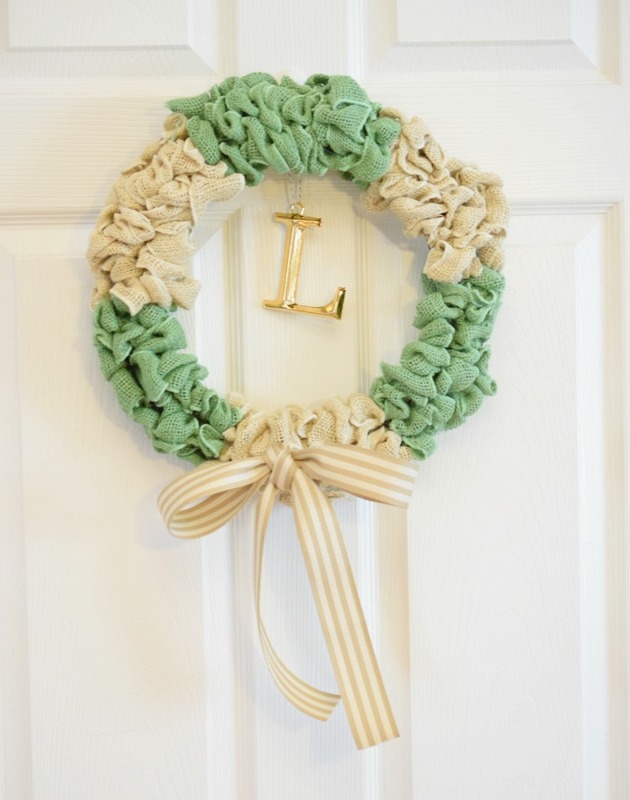 I love this neutral colored wreath, Lauren with the tans and greens! So pretty! And such a cute little bow and monogram, too!